Hydroponic vegetables are grown in a nutrient solution (a mix of water and minerals that plants require to thrive) instead of using soil. They are produced in a controlled environment, which means there is better protection against severe weather conditions, plagues and pests. Why are hydroponic vegetables better? 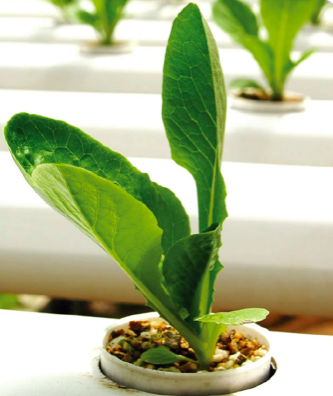 – Hydroponic vegetables have the advantage in nutrition and taste in comparison with their counterparts produced by other methods. – In hydroponic, no soil is needed, therefore, soil erosion is not a problem. – Water and nutrients are conserved, greatly reducing the resources necessary to grow food. – It is possible to control the nutrition levels in its entirety. – No nutrition pollution is released into the environment because of the controlled system. – Pest and disease problems are reduced. At Hydro Veggies we care about both you and the environment. That is why we are working on producing the best quality vegetables to provide you with great nutrition while reducing the effects on the environment. We have carefully selected the varieties we are growing.